If a prospective landlord conducts his or her own screening of tenants, the prospective landlord may charge his or her actual costs in obtaining the background information only if the prospective landlord provides the information as required in (a) of this subsection. The amount charged may not exceed the customary costs charged by a screening service in the general area. The prospective landlord’s actual costs include costs incurred for long distance phone calls and for time spent calling landlords, employers, and financial institutions. 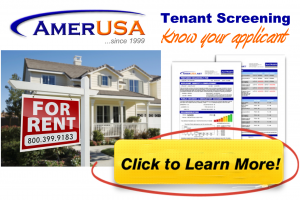 ….. Residency requires an increased monthly rent of $…….. Dated this ….. day of …….., 20…. Any landlord or prospective landlord who violates this section may be liable to the prospective tenant for an amount not to exceed one hundred dollars. The prevailing party may also recover court costs and reasonable attorneys’ fees.